Culinary mushrooms can be an enjoyable complement to growing one’s own herbs, vegetables and fruits. Some thrive under shade, such as beneath fruit trees or within woodlands, where they won’t compete with other sun-loving crops for space. Even the resulting mushroom compost provides a valuable soil amendment for other garden crops. Alex Winstead of northwest Washington State started growing gourmet and medicinal mushrooms in the basement and garage of his suburban rental several years ago. Now in its new location in Bellingham, Washington, his Cascadia Mushroom farm grows and provides organic mushrooms and mushroom growing supplies and workshops for other gardeners interested in adding mushrooms to their heirloom gardening projects. Here, he shares some of his expertise for those interested in the mushroom growing experience. Mushrooms have been harvested from the wild most likely since prehistory. Their job in nature is breaking down dense dead and decaying matter (such as dead wood) into soil. This is why some mushrooms, like the shiitake, are grown by gardeners or farmers either on hardwood logs or sawdust, which mimic their natural growing medium. Mushroom growers do need access to logs or sawdust appropriate for each culinary mushroom cultivation. Here is an overview of the main mushrooms grown by Cascadian Farm which other gardeners may be interested in producing. “Shiitake is such a great mushroom to grow and eat for many reasons,” said Alex, who explained they like to grow between 55 and 75 degrees Fahrenheit. “They have an excellent shelf life,” he continued. “Fresh shiitake can be cooked and eaten with a freshly harvested flavor up to 7 or 10 days after picking, dried shiitake can last for two or more years in a sealed container. Of all the specialty mushroom varieties, shiitake is the most recognized and popular in the American diet, compare this to diets of some European or Asian countries where more than 10 varieties are eaten regularly, both wild and cultivated species. Shiitake mushrooms can be grown by either inoculating hardwood logs with spawn (see Resources below), or by mixing spawn with sawdust and sometimes additional dry ingredients. “We grow almost all of our mushrooms on alder sawdust that is supplemented with bran and rye,” Alex said. “Most people who assert that log-grown mushrooms are superior are usually folks who grow shiitake on logs and vice versa with those who grow on sawdust. “In my experience it's not the log itself that grows a different mushroom but whether they are grown outdoors or indoors, the climate and temperature at the time of growth, and the shiitake strain being cultivated. If you take one of our shiitake sawdust blocks and grow it outdoors it will be almost identical to those grown on logs. Conversely if a log is grown indoors under controlled conditions the opposite will be true and the mushroom will resemble a typical sawdust-grown shiitake. Alex sells his crops to a variety of customers. Many types of health conscious people, foodies in general, and Slow Food enthusiasts would, no doubt, be eager for shiitake mushrooms. While shiitake mushrooms are valuable garden crops, here are three other varieties Cascadian Farm produces which other growers may want to consider. Alex said that the cinnamon cap mushroom is a beautiful mushroom to grow and can produce a variety of colors, from firey orange to yellow to brown. “They don't taste like cinnamon,” he said, “but rather have a strong earthy flavor and a slight crunchy texture that makes them appealing in soups and sauces where their flavor and texture isn't lost in a complex meal. The oyster mushrooms may be a perfect choice for the gardener trying out mushrooms for the first time. As Alex describes them, they are the workhorses of the culinary mushroom world. “Growing them is like growing kale or radishes,” he said. “They are quick to produce, tolerant to many environments and different growing media, thrive in the face of "weedy" molds and other fungi, and are great for beginning growers just getting their toes wet. Mushrooms can easily be grown sustainably when ecologically harvested logs, sawdust, straw, corncobs, or other mushroom growing medium is available. Some mushroom growers sustainably harvest and prepare logs, woodchips, sawdust, straw, corncobs and such from their own woodlands, fields and gardens. Others pair up with other gardeners, farmers, or timberland owners who produce sustainable mushroom growing material. Aspiring mushroom growers may want to attend a local mushroom growing workshop to get an idea of all that’s involved in the process of inoculating their growing medium, tending and harvesting their mushrooms. There are many growers across the country who offer educational resources, including Cascadia Mushrooms. The Resources below lists a sampler of several more. 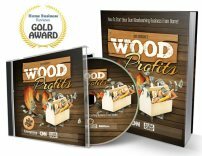 Many of the sources listed there also have online slideshows or videos showing how to inoculate logs or grow mushrooms with sawdust. 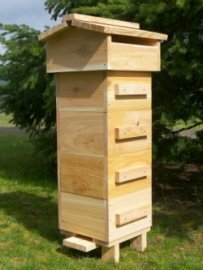 New growers can also start with a purchased pre-inoculated log or sawdust block that should come with growing instructions. This will help them decide if mushroom growing is something they really want to take part in before investing further in learning to inoculate the medium themselves. Perhaps mushrooms will become an ongoing partnership to the gardener’s heirloom plant crops, or, as with Alex, growers may find themselves so in love with mushroom growing, their cultivation becomes a far more major gardening project. Sampler of resources for supplies, workshops, and online educational videos and slide shows. 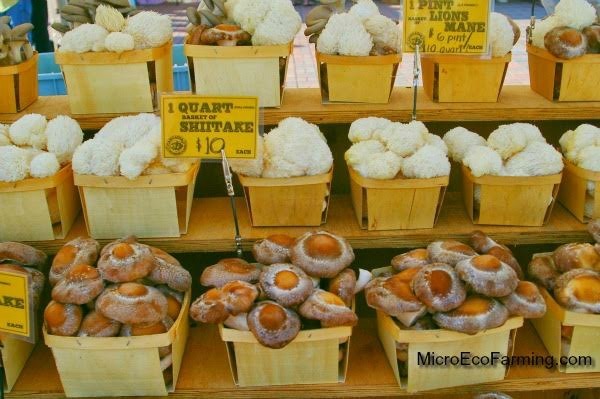 Locally grown shiitake and other mushrooms, plus supplies and workshops for other growers. Site has video of Cascadia Mushroom growing room. 9319 S. Brush Creek Rd. Slide shows on log grown shiitake, and growing shiitake mushrooms with sawdust.